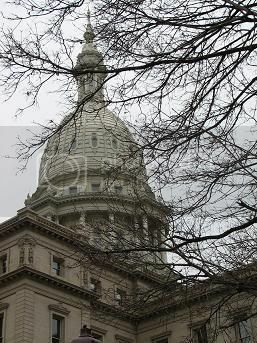 Now that I'm back in Lansing and armed with a trusty digital camera, it's time to embark on some photoblogging. Over the next week or so, I'll be posting images and discussing varied buildings within Lansing: schools, train stations, and more. Where to start? Click Any Photo to Enlarge in New Window. Cliche? Possibly. But on the eve of the inauguration, it seemed like a grand place to start. Mom and I traipsed to downtown Lansing and wandered into this historic gem. 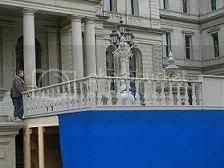 Restored in 1992, the Capitol showcases beautiful neoclassical design, and inside is adorned with gorgeous woodwork, art, and painting. 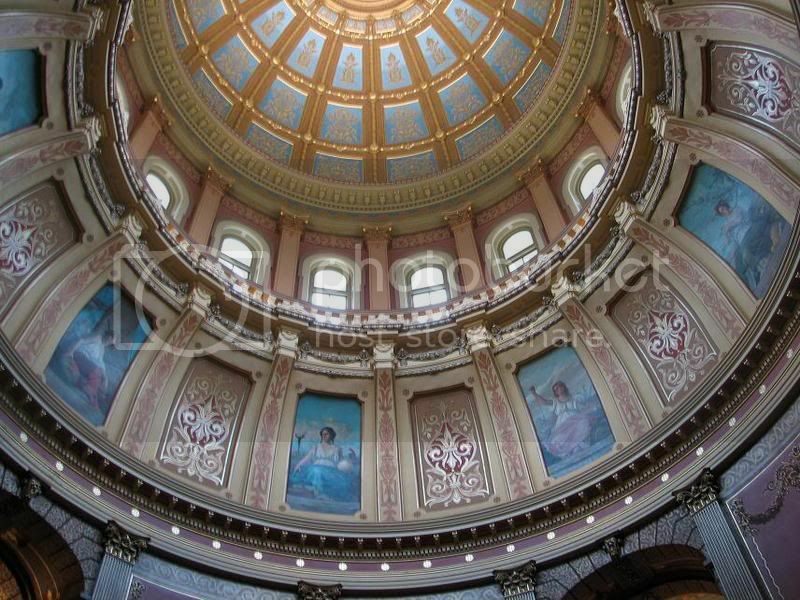 I'm sure most everyone in Michigan has visited the Capitol at some point in their lives, but its always wonderful to stop and view the intricate detail of every nook and cranny. From the flooring to the doorknobs, everything within the building is gorgeously ornamented. 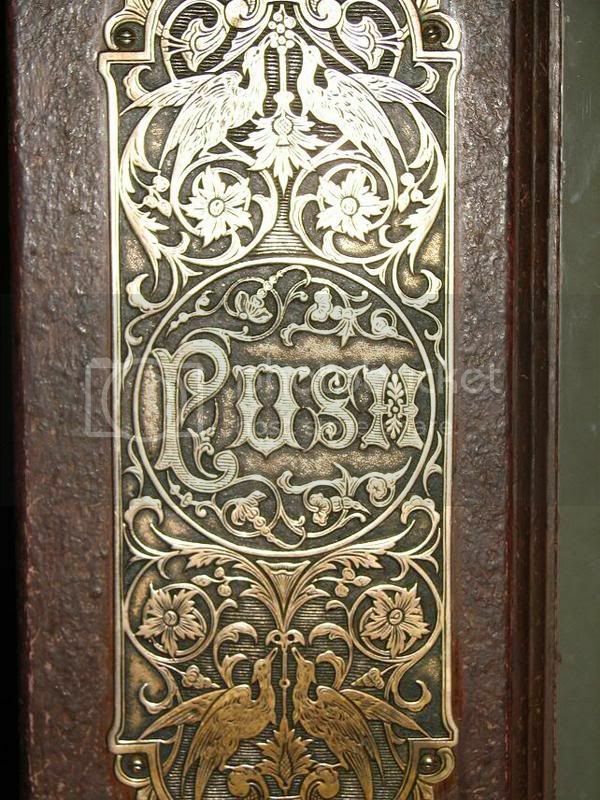 The image on the left is from the ground-level doors: the bronze and copper alloy plating shows birds, leaves, and an ornamental "push" -- an art long lost with the more economic "stick it on the window" placards. Even where there are no light fixtures or portraits, even the paint in places such as the stairwells forms an art all its own. 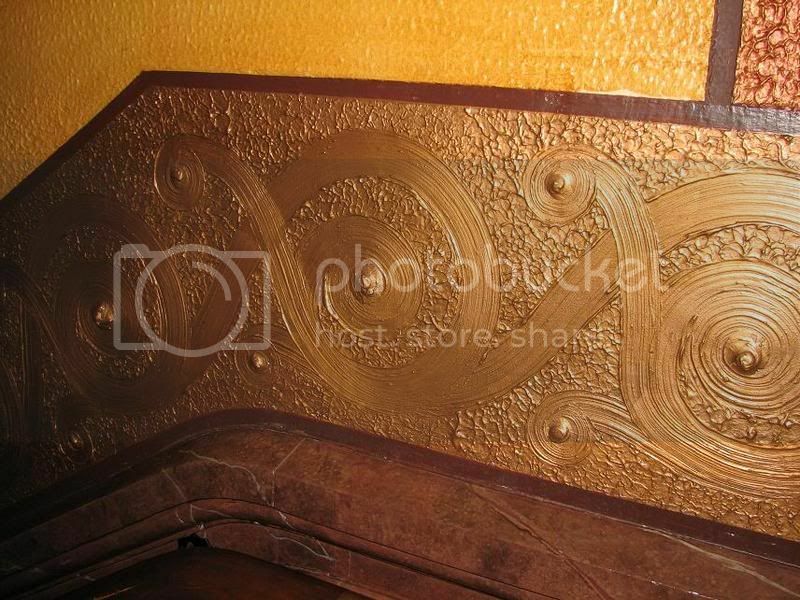 This golden, broad-brushstroke pattern leads down into the 2nd floor of the Capitol. So cool. Ornamentation such as this is everywhere: greens, blues, golds, reds, yellows -- it makes the building feel less Lansing and more Romanov palace. The dome, of course, speaks for itself. It rises well beyond the 4th floor public access, alit with dazzling blues and golds, until it reaches the stars at the very top. 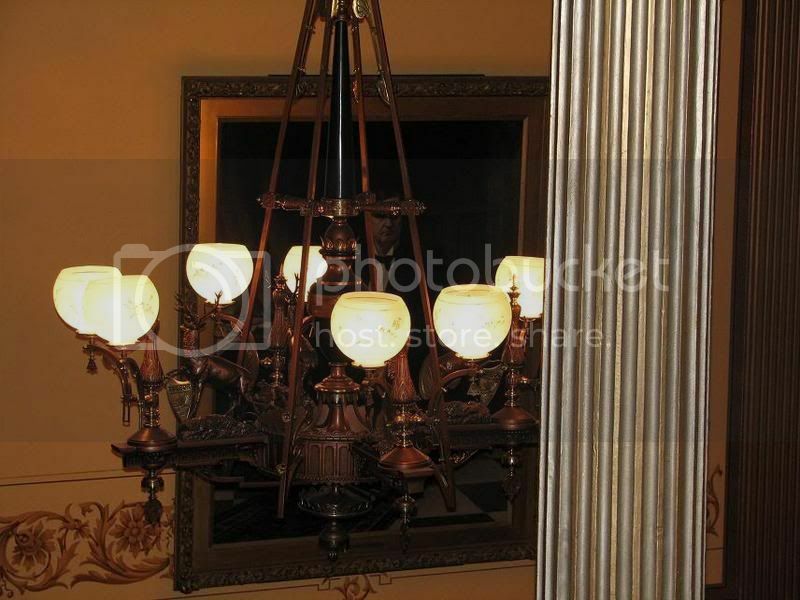 Chandeliers light the halls, featuring the elks and stags of the Michigan flag. 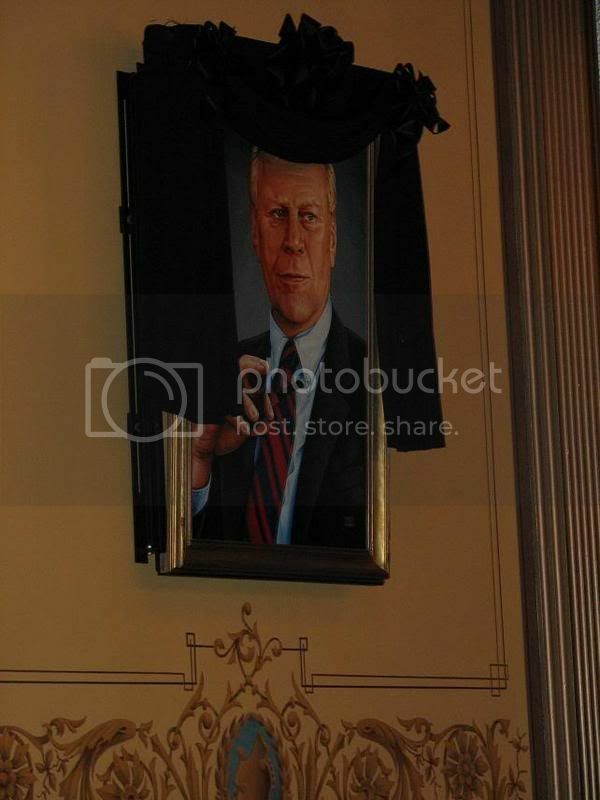 Outside of the Governor's office, a large portrait of the late President Gerald Ford hangs, draped in black fabric with a placard about his life. 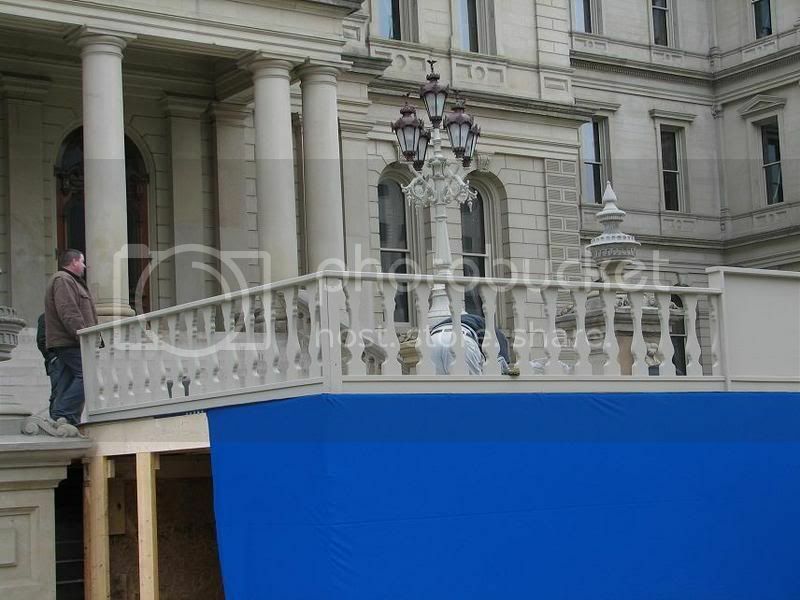 Outside of the building, we took additional shots of the exterior detail, and of the temporary stage being constructed for the second inauguration of Gov. Granholm. There were plenty more photos, but this was more of a personal experience than one intended for blogging. I just wanted to share a few of our observations. 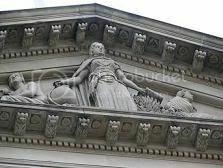 I'll go over some train stations in my next post; it'll involve more policy than just random photos. But get on down to the capitol and re-explore it if you haven't recently. There's always something new to see. It is truly an historic part of our city and state. And who would I be if I didn't close with a bit of fun? 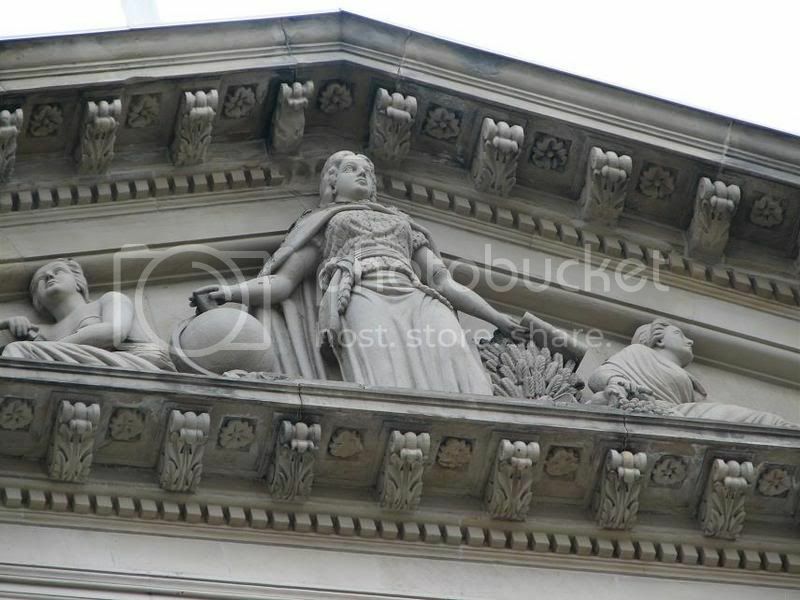 It was nice meeting you on New Year’s Day in front of this wonderful building you did such a great job photoblogging. Unfortunately, the crush of people waiting for the governor to be sworn in prevented us from talking, but I look forward to talking to you in the future. I love the Capitol building, and as many times as I have been in it, I still feel a thrill when I walk into it. It is amazing how beautiful our Captiol building is. 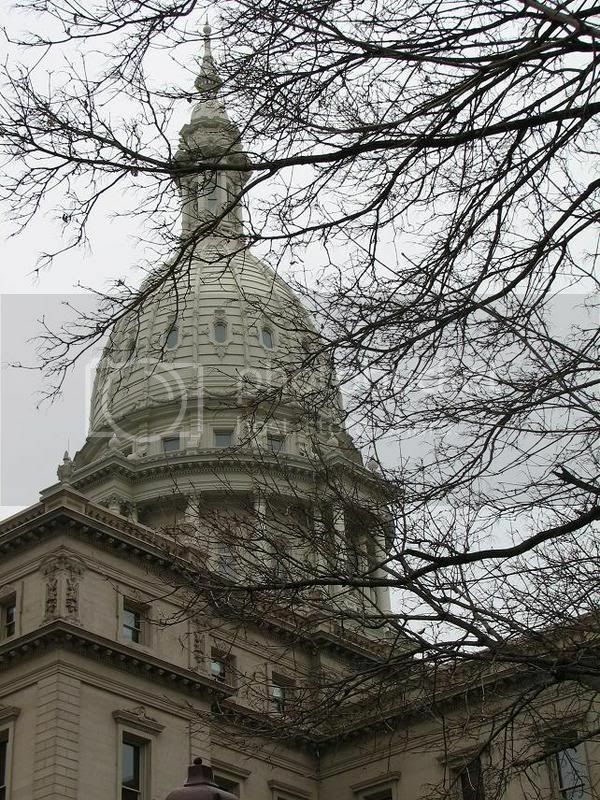 Just how many people in Michigan have not seen the inside of it? Great photos by the way. Good detail. I hadn't seen the inside of it until just this past year. It is gorgeous- I want to come down on a sunny day sometime and get some pictures! Please do! You'll find so much to photograph in there, especially when you look at all the details. 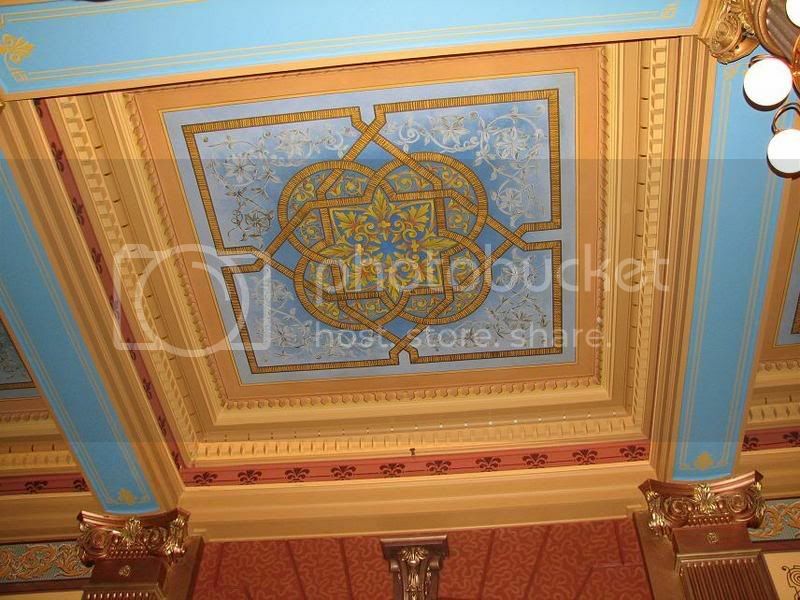 One shot my mom and I didn't get was of the ceilings in the MI House and MI Senate chambers. It's cool inset glass featuring the coat of arms for all 50 states.